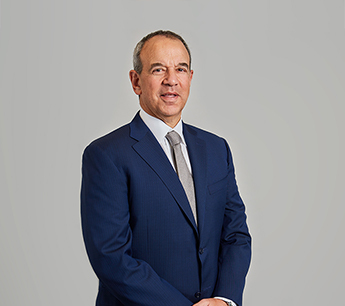 Jeff Fishman is a Vice Chairman with RKF, overseeing the firm’s Investment Sales & Advisory Services practice. A 25-year veteran of the real estate industry, he has executed transactions involving all types of real estate. Jeff’s expertise has been invaluable to owners and investors in the investment sales transactions he has arranged on their behalf, which are valued in excess of $1 billion. Some of his recent transactions include arranging the sale of the fee position at One Superior Place in Chicago for $80 million, which occurred simultaneously with the $220-million sale of the leasehold of an 800-unit high-rise residential building with 58,000 SF of retail space. Just prior to that, he sold the unsubordinated ground lease of a 752-unit, 34.6-acre apartment complex in Fairfax, VA for $32.8 million. At Marina Terrace in Marina Del Ray, CA, Jeff arranged on behalf of two sellers the simultaneous sale to a public REIT of the leasehold and fee interest of a 500-unit apartment building on 5.6 acres for $165,250,000. Among the recent retail assets he was responsible for selling, include the newly constructed retail condo at 123 Third Avenue occupied by Capital One and the retail condo at 127 Seventh Avenue occupied by CORE. Jeff is also often consulted by clients seeking properties to fulfill their 1031 needs. Prior to joining RKF, Jeff was the President and CEO of One Liberty Properties, Inc. a public REIT. Previously, he was a Managing Director with Cogswell Properties, LLC., a real estate owner and manager in New York City. His many earlier career accomplishments include being responsible on behalf of ownership for negotiating the 23-year lease extension with Marriott International, Inc. for their 800,000-SF Corporate Headquarters in Bethesda, MD. In addition, he was involved as a principal in the purchase of the one million-SF building located at 60 Broad Street in New York City. Jeff earned a Bachelor of Science Degree from SUNY Oneonta and received his Juris Doctorate Degree from St. John’s University School of Law. He is a member of the International Council of Shopping Centers and served on the Young Leadership Board of Seeds of Peace, an organization focused on conflict resolution among youths from the Middle East. Jeff is a licensed Associate Broker in the State of New York. On The Level Enterprises Inc.